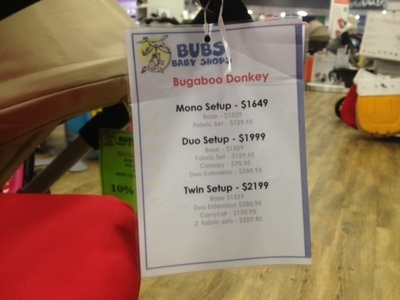 The Bugaboo Donkey stroller is quite different from anything else on the market. 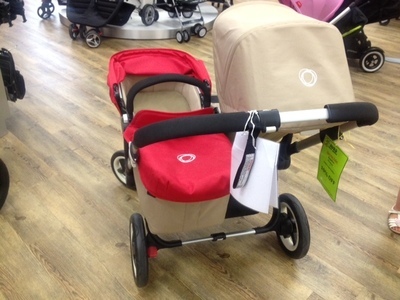 You can configure it into two side-by-side seats, collapse it into one seat and a shopping basket, choose forward or rear facing, or swap a seat for a bassinet. But at nearly $2000 it's also much more expensive than anything else out there. So, is it worth the crazy price tag? Nice if you have the money to burn! I think everything is a balance and you have to weigh up what your budget is and what else you could get with the difference in price between something so high end and something more cost effective. Perhaps a nice holiday or saving for your kids future. Personally I don't think I could pay that much! My son only used his pram until his first birthday then he wanted to walk everywhere. He is turning three soon and now he wants to walk, go on a push trike, ride in a trolley or ride his bike everywhere. When we do take a stroller (which itsn't often) it's normally the cheap $20 one from Kmart that his Grandparents bought. The pram we bought before he was born has just sat in our house for two years so I am very glad we didn't spend so much on one.